How am I to get mail while travelling? Following on from the post about education, you may be wondering how correspondence lessons may work if you have no fixed address, or even how you might get your regular snail mailings while itinerant. The first tip would be to cut down on anything that arrives into your mail box. Cancel magazines that aren't essential. Request bills to be emailed to you. Turn off paper statements from the bank (this is also a security feature while you are not at your address to clear your financial information). You could use a (friend or family's) fixed address or postal box (there is an annual charge for these), and get them to forward them on to you. It depends on how helpful someone is going to be over the term you are gone. Either way, you will need to keep someone up to date with where you are going to be a week or two into the future. Note that if you change from a physical delivery address to a postal box there may be quite some correspondence that needs to be re-directed after you have left. A local person who can drop by the physical address on a weekly basis and pick anything of yours up is a real advantage. Perhaps you could promise them postcards, exchange a product for their services, or pay them outright? 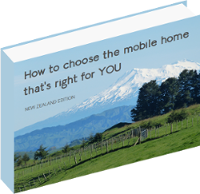 There are several commercial services in New Zealand that will act as a clearing house for your mail (including loaning you their address), scan everything page-by-page, and email it to you. This is useful for those one-off bills like rates, insurances and such but may get quite costly otherwise. You can use the address of someone else in the next place you are going for the likes of any correspondence lesson packs, packages, or time-sensitive items. If you belong to a church denomination / sports group / interest club, you may be able to arrange to use their addresses throughout NZ regardless of whether you attend the local gathering. Alternatively you may have letters, and parcels delivered to the local post office. Overseas the latter option is called Poste Restante but it's hardly known by that name here. There is no charge to hold letters, documents or small parcels for up to 3 months, but they do charge for larger parcels after the first week. NZ Post have a list of the post offices that offer this service on their website. Note that these are the one main post office in each location and are not all the places that may offer postal services. I totally forgot that there is also a redirect charge these days if you want to have your mail that would usually have been delivered to your NZ home address instead directed to another one, either temporarily or permanently. All the more reason to taper off your tree mail before you go. As we're already educating our children from home, we are in a position of being free to take our materials with us and adapt our schedule for the road. The eldest has several chunky text books, but relatively speaking no more than would fit in half a banana box. The younger three can learn together and their curricula would take up the other half of a box. We consider real life learning at least as important as textbooks, so will definitely take a more holistic approach to education while we are touring. While we started out 'doing school' at home years ago, we have transitioned into an eclectic blend of text book curricula and unschooling which works for our children and has proven itself many time over. I am constantly amazed at what they know (that I don't) and how they can recall it to contribute to an intelligent conversation - usually a house guest! For Kiwis with children in school and considering a nomadic lifestyle within New Zealand, there are a few ideas to look into. The Correspondence School of New Zealand offer enrolment under the 'itinerancy' criteria but require a minimum period of 6 months. Your child would (continue to) adhere to the state curricula; have a personal tutor, and theoretically be able to keep up with their peers which may be an advantage when or if you resettle. TCS also have satellite meetings around the country, that are supervised by a qualified teacher, and where students can go for support with their lessons. This could work quite well for the older student who needs a bit more context than the lessons gives, or who is struggling to comprehend a concept. Realistically speaking it may also serve as 'time-out' from cramped quarters too. You could apply to home educate your child. This requires an application at least 3 weeks prior to when you want it, to the Ministry of Education. You need to show that your child will be taught "as regularly and well as in a registered school". The application form and parent information packs are online. There are various homeschool networks up and down the country that you could knit into with a little research and forethought. A list of many of the groups is here (scroll down to the bottom right hand side of the page). You don't need to be a professional teacher to educate your own children, so don't let that put you off. Your child's school may be amenable to your child staying on their roll (for their financial gain) and a teacher supplying text books or mailing lesson packs to you. This isn't the norm but is an option to explore. Any way you look at it, your child needs to either be enrolled in a registered school or have an exemption according to the law. Printed from http://www.stellography.com/education on 21/04/2019 - 11:04.